Henry O'BREE, b. 1827 London, England, son of Phineas William O'BREE & Susannah SMITH married, 1858 Liverpool, England to Frances PIERPOINT, b. c1837 Liverpool, England, dau of William PIERPOINT & _______. Henry & Frances O'BREE emigrated to Australia in 1858 and had 11 children in Victoria from 1859 to 1879. In the 1860s Henry & Frances were living at the HENTY property of "Muntham" Station near Carapook where a number of their children were born. Henry O'BREE b. 1860 Cavendish, Vic, d. 1862 (Infant death). William O'BREE b. 1862, Muntham, Vic, d. 1941, m1. 1887 Moulamein, NSW Elizabeth Margaret HART (1867-1890) m2. 1899 Emily Eliza BROWN (Tow children from 1st Marriage, One child at Natimuk from 2nd marriage). Henry Phineas O'BREE b. 1864, Heywood, Vic, d. 1942, m. Catherine Elizabeth CORMACK (Family of six children at Natimuk and Swan Hill). Susan Maria O'BREE b. 1866, Coleriane, Vic, d. 1951, m. William CARMICHAEL (Family of ten children at Natimuk and Geelong). John O'BREE b. 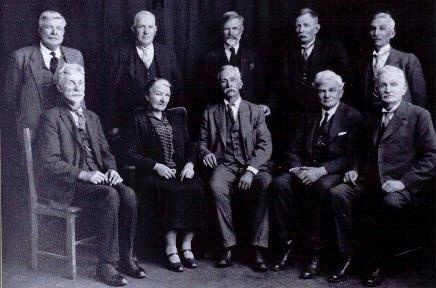 1868, Dundas, Vic, d. 1956, m. Gertrude Bridget KEENAN (Family of eight children at Swan Hill). Philip O'BREE b. 1870, Bruk Bruk (Carapook), Vic, d. 1957, m. Agnes Ann KIRK Family of seven children at Swan Hill). Patrick O'BREE b. 1872, Vic, d. 1954, m. Ann HARRIS (Family of five children at Swan Hill). Lawrence O'BREE b. 1874, Horsham, Vic, d. 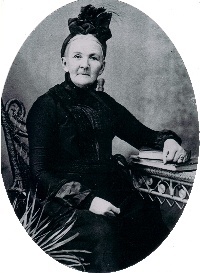 ?, m. Agnes BUCHANAN (Family of nine children at Donald and Swan Hill). Joseph O'BREE b. 1877, Natimuk, Vic, d. 1954, m. Kathleen Josephine TRAINOR (Family of six children at Swan Hill). Robert O'BREE b. 1879, Natimuk, Vic, d. 1948, m. Emma Louisa Rachel BRYANT (Family of ten children at Swan Hill). Frederick Freeland O'BREE, L/Cpl 1951, 23rd Battalion, AIF, KIA, France, 8 November 1916. Frederick, b. 1894 Natimuk, Vic was a son of Frederick George O'BREE and Elizabeth Ann FREELAND. Stanley Pierpoint O'BREE, L/Cpl 6139, 60th Battalion, AIF, KIA, 4 July 1918, France. Stanley, b. 1895 Swan Hill, Vic was a son of Frederick George O'BREE and Elizabeth Ann FREELAND. William Henry O'BREE, L/Cpl 632, 14th Battalion, AIF, KIA, 2 May 1915, Gallipoli. William, b. 1887 Moulamein, NSW was a son of William O'BREE and his first wife Elizabeth Margaret HART. 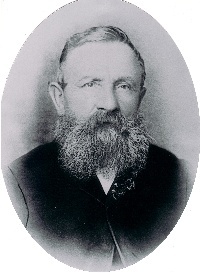 Henry O'Bree was born in Hackney on 14th Nov 1827 in the east of London. Henry was reputed to have gone to sea at the age of twelve and he fought in Crimean war 1854-56. On his discharge from the merchant Service Henry married Frances Pierpoint fom a good standing family in Liverpool. Henry and Frances sailed from Liverpool on a unassisted passage in the "Northern Bride" on March 3rd 1858, and disembarked at Geelong three months later. They travelled by bullock wagon to Muntham Station and then worked for Stephen Henty as a married couple for eighteen shillings a week. Their first born Frederick was born 1859. In 1872 they selected land at Vectus East near Natimuk where Henry built his first home (a picture of this would of been great) He was given a contract to build a bridge over the Wimmera River near his property, always known as the O'Bree Bridge, now demolished. With their growing family of nine boys and one girl, their next move was to Stony Crossing, N.S.W. Here Henry tried his hand at grazing, but due to adverse conditions had to abandon the idea. Henry and Frances and the younger members of the family moved to Boundary Bend in 1889. Henry bought the "Wine Shades", a saloon, then only a bark hut, rebuilt it with drop logs. It had nine rooms and lined in hessian, which was papered. A very capable man, Henry started the first irrigation scheme at Boundary Bend and the first planting was one acre of mixed fruit trees. Henry died as a result of a bolting coach accident on February 14th 1901, at the age of seventy three and buried in the Geelong cemetery. His devoted wife Frances died on November 30th 1904, sixty-seven years old. Her remains lie in the Swan Hill cemetery. Their nine sons and daughter inherited from their parents, qualities of honesty and industry and many were talented in music and singing.